Schwerzenbach, Switzerland.18 March 2013. METTLER TOLEDO provides a new, compact and affordable family of titrators- The EasyPlusTM. The leading provider of precision instruments has created a compact and simple titrator specifically designed for basic requirements and first time users of automatic titrators in the food and chemical industries. Drawing upon extensive knowledge and experience of hard- and software engineering has produced a small, affordable and reliable instrument. Decades of titrator engineering experience, coupled with the latest technological advancements in processors and touch screens, have led to the development of the EasyPlusTM conechcept. Previous models have focused on advanced automation solutions, flexible method structures and secure networking software. 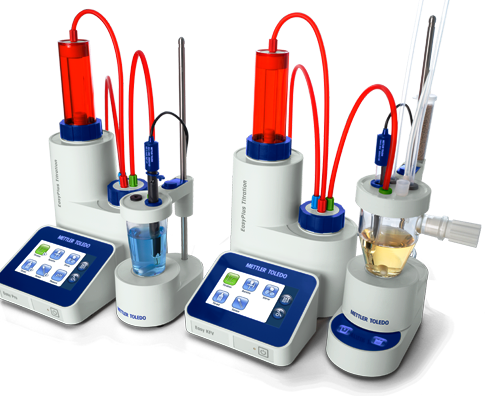 The new EasyPlusTM models focus specifically on accurately automating routine titrations. 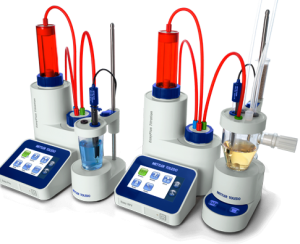 This focus has motivated the EasyPlusTM development team to create a highly reliable titrator encased in the smallest possible housing and with a simple user-interface. Apps are part of our modern lives, which led to the decision to model the EasyPlusTM interface on the familiar and accepted App format. New operators already know and understand this interface style making familiarization and operation quick and easy. To keep programming fast and simple, the iTitrateTM guidance leads operators through setup and method programming step-by-step. The EasyPlusTM also has 15 different operating languages, making it a truly global instrument. The EasyPlusTM Titrator was also designed and priced to compete with classic analytical procedures. Using an automated titrator has some obvious, and not so obvious, benefits. Apart from the improved accuracy and reproducibility of results, the EasyDirectTM titration software stores and collates all records and archives data to minimize confusion, errors and misinterpretation of results. METTLER TOLEDO offers a wide range of EasyPlus™ Titrators to suit a number of basic applications especially in the food & beverage and chemical industries, as well as academia.